CALGARY, Oct 3, 2017 /CNW/ - WestJet announced today that is has expanded its position as the Canadian airline with the most flights to Mexico by adding flights from Calgary and Vancouver to Mexico City. Nonstop, year-round flights will start March 2018 and are vital to further expanding trade and tourism between the two countries. "We are proud of our continued investments in connecting the economies of Canada and Mexico and providing choice and competition for Canada's business and leisure travellers," said Ed Sims, WestJet Executive Vice-President Commercial. "These flights will also enable Mexican visitors an affordable option to discover our country and Mexican businesses to increase commercial ties." "WestJet's new non-stop service to Mexico City will be another great route option for Albertans looking to connect to one of the world's largest trading markets," said Bob Sartor, President and CEO for The Calgary Airport Authority. "As a burgeoning business market for agriculture and oil and gas, this is an important link as our city and region looks for opportunities to grow and diversify our economy." "I want to congratulate WestJet for expanding its service to Mexico," said The Honourable Bardish Chagger, Leader of the Government in the House of Commons and Minister of Small Business and Tourism. "Our government understands the important contribution tourism makes to our economy. As Canada's largest service export, and an industry that supports more than 1.8 million jobs in Canadian communities – from coast to coast to coast – we are committed to working with our partners to build on the recent successes the industry has experienced. And through Canada's New Tourism Vision, we have a plan to achieve this. This past year, we have seen tremendous growth in Canada-Mexico tourism. As one of our priority markets, we are committed to seeing this grow further still." "This is excellent news—YVR greatly values our partner WestJet and their efforts to link our airport with key destinations around the world," said Craig Richmond, President and CEO of Vancouver Airport Authority. 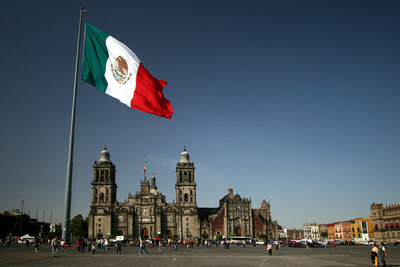 "Mexico City is rich in experiences, offering incredible tourism options and a broad range of business opportunities. It's also one of Latin America's key connecting hubs—providing passengers with access to amazing destinations. We are excited to work with WestJet to ensure this new route is a big success." Starting March 14, WestJet will begin service with four weekly flights between Calgary and Mexico City. On March 15, WestJet will launch three-time weekly service between Vancouver and Mexico City. Effective April 29, both routes move to daily service. WestJet currently serves 10 cities in Mexico from 17 Canadian cities and offers more non-stop routes than any other Canadian airline – at peak winter schedule the airline will be operating more than 140 flights per week. Since 2012, the airline's traffic to Mexico has grown by more than 50 per cent. Last winter, WestJet flew an average of 18 daily roundtrips between Canada and Mexico, carrying a total of more than one million guests to that country. WestJet and Mexico's flag carrier, Aeromexico, have been interline partners since 2011 and full codeshare partners since 2015. *Book by October 3, 2017 (11:59 p.m. MT). Some restrictions apply. For more details on please visit www.westjet.com/flight-schedules-new.